Forty-nine years after Martin Luther King Jr. was assassinated, President Barack Obama gave a stirring farewell speech. I was particularly challenged by the truth Obama spoke about progress toward racial reconciliation. “What do you mean?” I asked. “Don’t you just put salt on the roads when it’s icy?” Traditionally, rock salt has been applied to roads after snowfall because it lowers the freezing point of any water with which it comes into contact. However, this strategy only works when temperatures are above 15 degrees Fahrenheit. By contrast, placing liquid brine on the roadway surface prior to a precipitation event helps prevent the snow and ice from bonding to the pavement. In recent years, there has been a growing transition from reactive strategies like de-icing to proactive strategies where brine is applied before the weather event occurs. 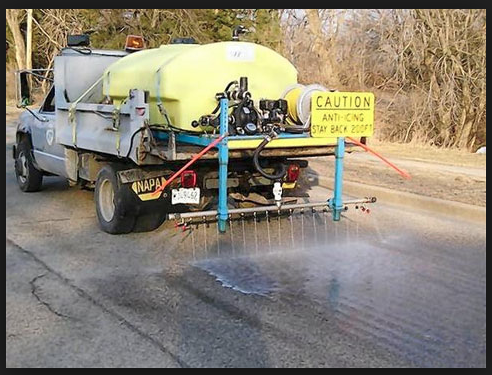 According to Wilfrid Nixon, a professor of civil and environmental engineering at the University of Iowa and international road salt expert, the Iowa DOT is a world leader in “prewetting roads” with millions of gallons of brine every winter. Be Proactive. It’s the first of Stephen Covey’s seven habits from The Seven Habits of Highly Effective People; Powerful Lessons in Personal Change, which has sold more than twenty-five million copies since its publication in 1989. One characteristic that sets humans apart from animals is our self-awareness and freedom to decide how we will respond to stimuli. You and I can choose to react to our environment by accepting that there is nothing we can do about our situation, or we can decide to be proactive by using resourcefulness, initiative, and character to determine our response and find creative solutions. I learned this lesson the hard way. In March of 2008, while running in the dark of early morning before an appointive cabinet meeting in Michigan, I slipped on some black ice and landed directly on my left elbow. After thirty years of accident-free running, I guess I was due for a bad fall, so it didn’t really surprise me. What shocked me was that a metal plate and five screws somehow climbed into my skin to put my shattered elbow back together. It’s a story of two sets of hardware. I should have been proactive in using Yaktrax, which are ice/snow cleats fastened to the bottom of running shoes to improve traction. Of course, I thought it would never happen to me, so I didn’t bother protecting myself. The result? I had another set of hardware inserted into my elbow in a reactive effort to rebuild it. Plus weeks of physical therapy. Plus no driving for two months. Plus lots of out-of-pocket costs. Plus another surgery nine months later to remove the hardware so I could regain full motion of my elbow. Over the years, I’ve discovered that how we prepare for and then respond to events affects us more than what actually happens. Proactive people by Martin Luther King Jr. prioritize the things over which they have influence and in the process often expand their area of influence. On the other hand, reactive people often focus their efforts on areas of concern over which they have no control. One of the most insidious afflictions of local churches is the temptation to be reactive instead of proactive. Time and again, I have witnessed clergy and lay leaders sabotage their effectiveness by not anticipating and responding non-anxiously to concerns that subsequently explode into serious conflict. Churches would be healthier if leaders acted proactively rather than reactively by watching, assessing, and then promptly responding to situations before they get out of control. Clergy and laity waste too much energy reacting to crises rather than proactively formulating policies, procedures, and processes to prevent those crises from happening in the first place. When congregation members act in reactive ways by name-calling, raising their voice, or personalizing an issue, self-differentiated leaders climb into the skin of others and demonstrate a calmness of spirit that de-escalates potential conflict. It is not unusual for some of our best pastors and lay leaders to be so worn down by the reactive behavior of others that they give up and ask to be moved or resign from their position. Proactive thinking by climbing into the skin of others and seeking to understand their point of view is preventive medicine for the church. Not only does it bolster the congregational immune system, but it also empowers us to change the world around us. As the appointive cabinet of the Iowa Annual Conference begins the appointment-making process for 2017, our eight district superintendents and I vow to be proactive in our work as well. We vow to undergird all of our work by prayer, climbing into the skin of our congregations and clergy and seeking only God’s will. The Field Outreach Ministers and District Superintendents vow to coach and mentor our district churches and pastors to create a healthy church climate by “seeing ahead” rather than reacting to events that have already happened. We vow to gain as much knowledge as we can about every local church and every pastor so that we appoint clergy where they and congregations can learn, grow, and thrive. We vow to place primary emphasis on our strategic priorities in Iowa: creating world-transforming communities of faith, equipping clergy and laity as transformational leaders, and aligning our resources toward our common goals. Faith is taking the first step even when you don’t see the whole staircase. (Martin Luther King, Jr.) Rock salt or liquid brine? Reactive or proactive? 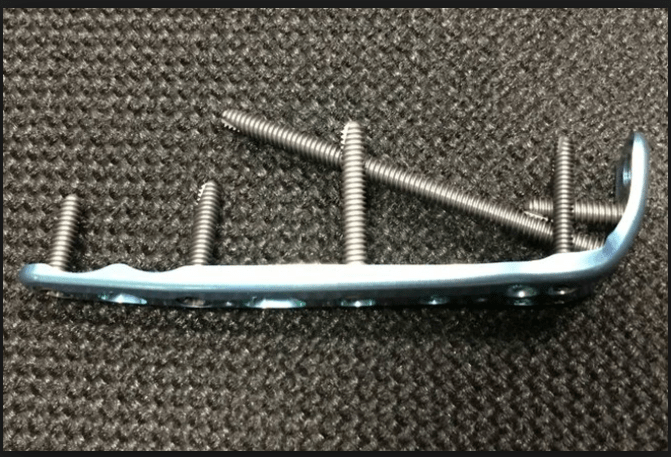 A plate and screws or Yaktrax? Lamenting the state of our world or climbing into the skin of others and walking around in it? All of us have more work to do. Hearts must continue to change. Thanks be to our proactive God who took the first step and sent Jesus into the world to show us how to love. Thank you, Bishop Laurie…These are great to zhare and connect our local cburches to your inspiration. You are a blessing to our denomation. You must know how much we miss you, and as much as we will miss Gary, I am happy for you to be together again later in the summer. It would be great if we used the Pastors in our Conference who are trained as Intentional Interim Ministers in a proactive manner, instead of just a reactive one. I really appreciate your sharing! I admire your fantastic ability to learn from your injury and share it with others. Laurie, you have such a wonderful way of presenting an issue, making it personal and general, showing us the consequences, leading us toward options, guiding us to be proactive, as well as reflective, and most of all you show the way to achieve life changing action. Bishop, as much as I miss you, you are in the right place to generate the most good. 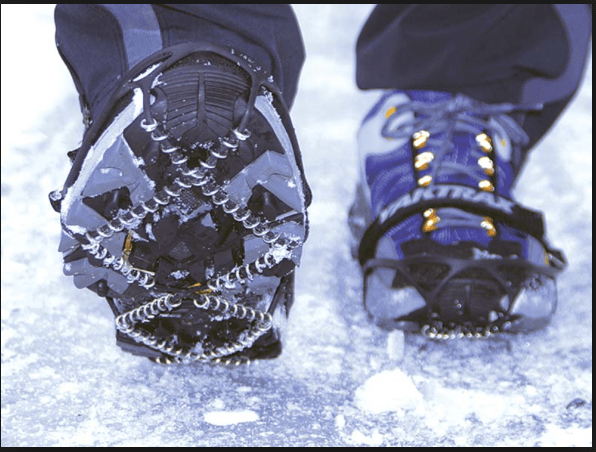 The kind of Yaktrax that you have pictured in your article are for “SNOW and ice”. It was their flagship product that gained them a lot of attention. I have tried those. They are okay as longs as there is some snow on the ground. Please believe me when I say that Yaktrax makes a slightly different product that is superior on ICE. They are called Yaktrax Diamond Grip ice cleats.